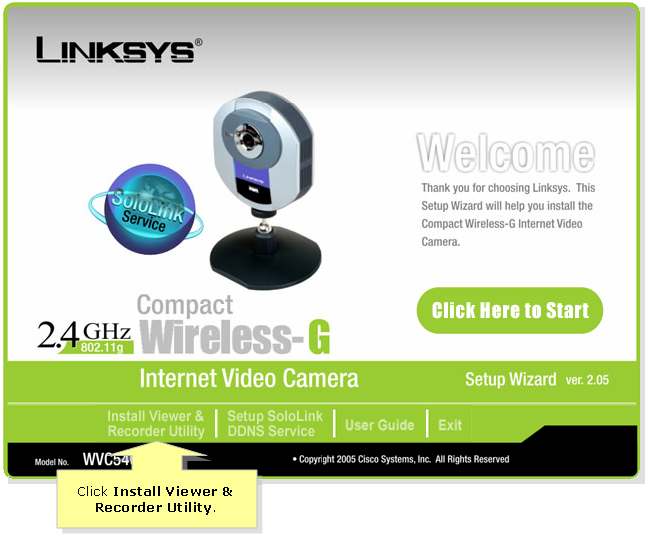 Double-click the Linksys Viewer Recorder Utility icon at the bottom-right corner of the screen. NOTE: If you do not see the icon, insert the Setup CD-ROM into your CD-ROM drive. Once the Setup Wizard automatically runs, click Install Viewer and Recorder Utility and follow the wizard. 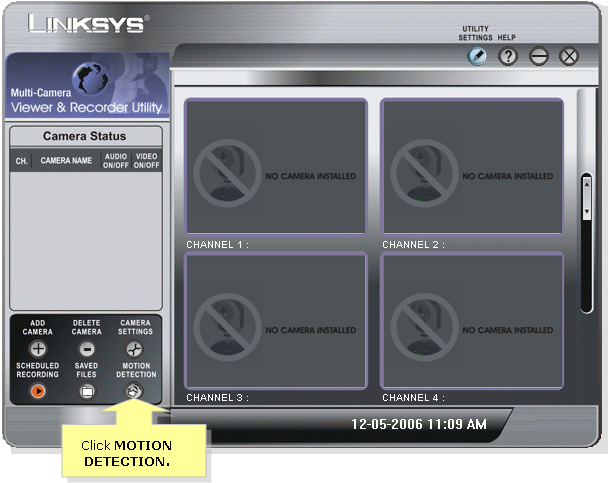 On the Multi-Camera Viewer and Recorder Utility window, click MOTION DETECTION. 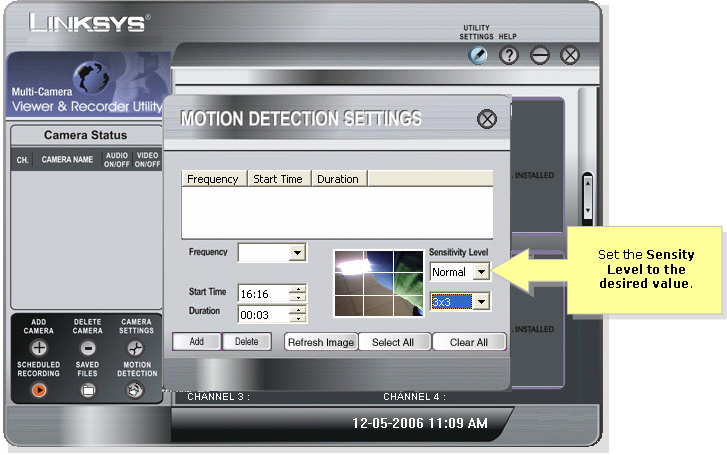 On the MOTION DETECTION SETTINGS window, set the Sensitivity Level to the desired value.